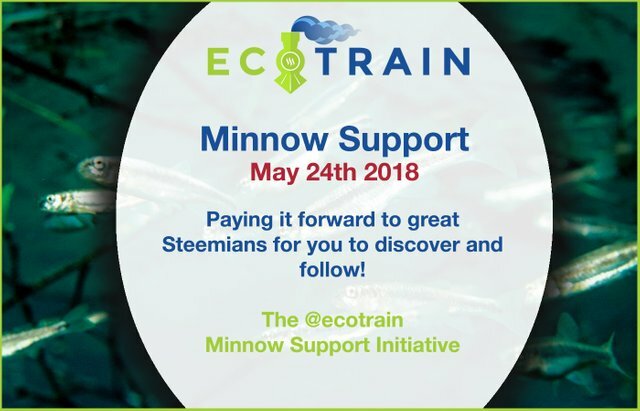 Welcome to the new and weekly @ecotrain Minnow Support Post! This is a new initiative to help those minnows who really do put the time and effort in to writing great posts, but don't get the rewards or attention they deserve! 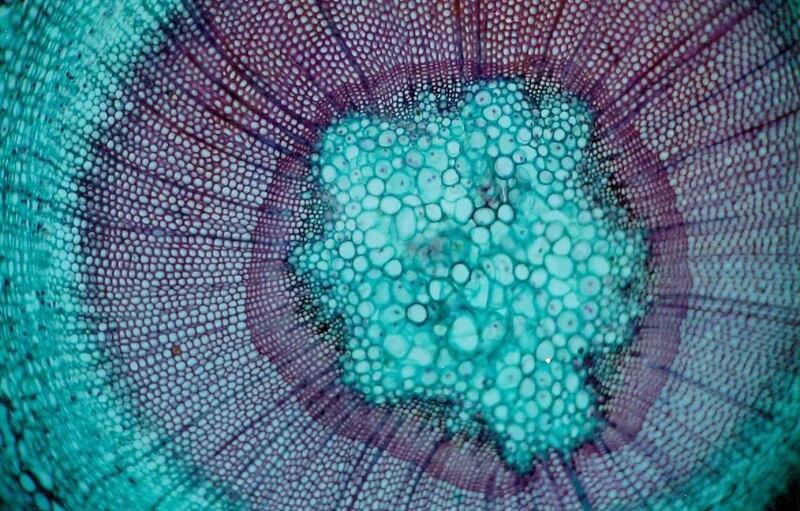 In this tie-up post you will find some great articles written by minnows that I have discovered and think deserve much more attention! The very best posts have also received an upvote from the @ecotrain voting bot. I am using the proceeds from this bot to give back and encourage great Steemians to keep posting! I will also be using the SBD from this post to bot-vote next weeks minnows, and I will continue paying it forward each week! Please upvote this post to help me spread the reward pool to many more great people! "Things that help make the world a better place"
To be a part of this initiative just tag 'ecotrain' and I will check the feed each week and curate and promote the very best undervalued ones that I read. I want to encourage you to keep writing, because with perseverance you can get the following and support you need to keep going! I would like to thank the @tribesteemup, @jerrybanfield and @canadian-coconut for their support in promoting this post as well as for their support to help me get minnows noticed! These people work each day and every day in the background helping people to make Steemit and the world even more amazing. Kudos to them for their continued efforts which really make the difference to people who otherwise would be easily missed. 2. Posts should be on the theme of "Things that help make the world a better place"
3. No colour challenge posts or just an simple photo that anyone could take. 4. Original content only please. 5. Posts with less than $1 will be given priority. 6. Please use the ecotrain tag. Those of you who can do this will get some great exposure. If you are not able to do this please also refrain from using the ecotrain tag out of respect for what we are doing. P.S. I will make exceptions to these rules when the quality of a post is very good. The more I give healing sessions, as a healer, the more I encounter this issue : Everyone is in the process to release and clear their ancestral lineage. We all have ancestors, other wise we would not be here, and many of them had some struggle. Either they didn't go to the Light at the moment of their death, for whatever reason. (attachment, presence of entity at the time of death, surprise death. ), or maybe they were cursed or under the influence of some magic spell. 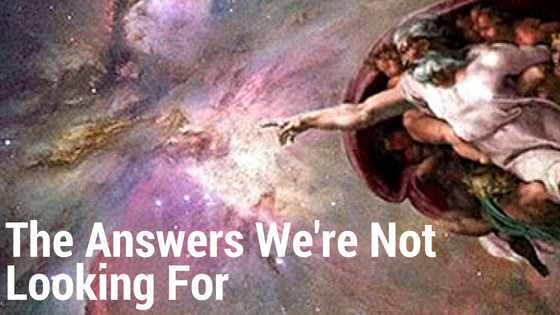 What is the Physics of Miracles ? How to invite them and notice more of them in our life ? Reclaim your power of Miracle (non) Maker ! 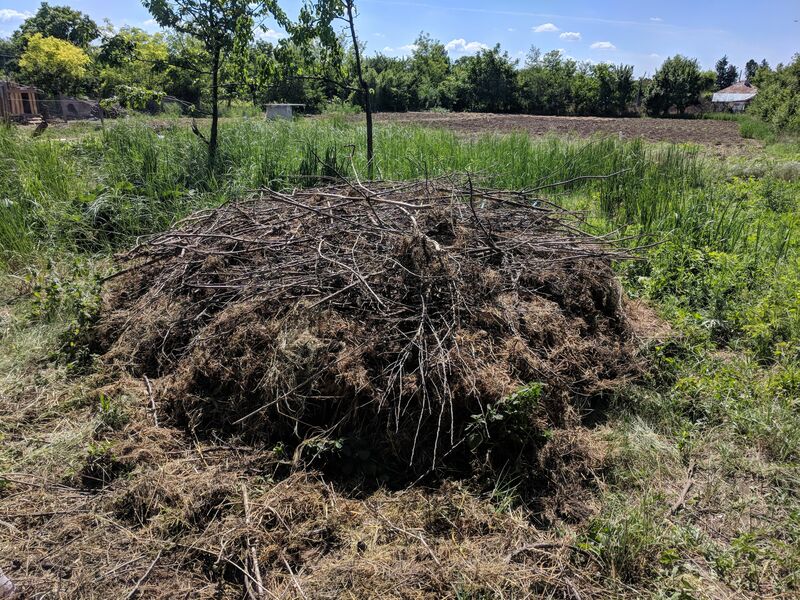 Stacking Functions is by far, one of my favorite aspects of Permaculture. Shortly after meeting the girl of my life, I asked her out on a "date"... Not everyone would pick up and go on a 3 month date to South East Asia with a stranger, but she did!!! What a girl, right? She met me in Bangkok about 2 weeks after I had landed and on we went, from Khao San Road to Pai, in northern Thailand. Talking about religion is somehow complicated. We can raise the flag of mutual respect. But like politics matters we have to admit religion is a sensitive subject. It's so settled down that it's almost impossible to speak out without hinting a certain belief. IF we say something that might go against someone's convictions or IF some of our statements are misunderstood, we can unintentionally generate a conflict. Anyway, this post's end aims to highlight the pursuit of truths which all religions are supposed to look for. It's not a critique about any person's beliefs, but rather it is an analysis to what religions should bring us. 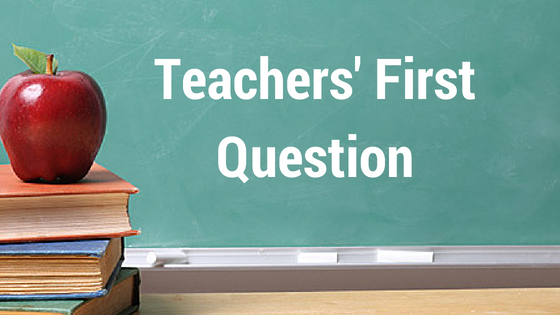 Teachers' First Question: Why Do They Lie? 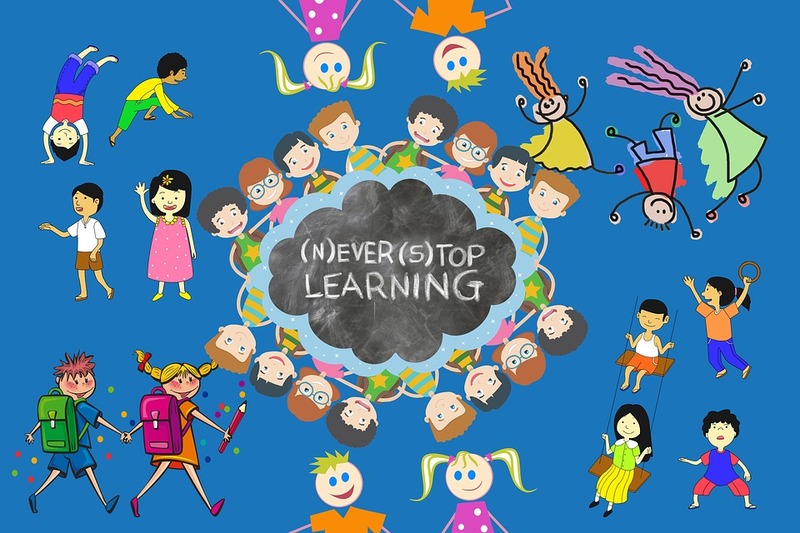 When a trainee goes through the teaching coaching, he or she is equipped with an arsenal of strategies that are supposed to make learning assimilated by the students. Put simply, pedagogy is imparted in order to give the trainee the tools to manage any educational environment. There is also a continuous interest in portraying scenarios - all of them addressed with a particular premise (All students are willing to learn). But when the trainee finally goes out to face the real world, to put into practice what he has learned, there's a shock. The teacher finds a whole different reality. Are we bringing up our kids in the right atmosphere? Now, I'm aware of the existence of different cultures and traditions all around the world. 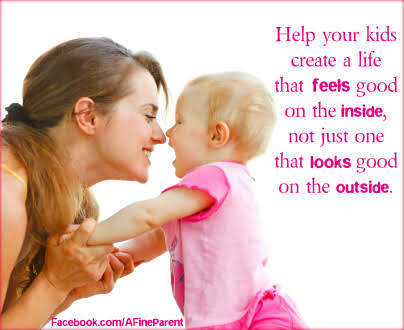 Each having different beliefs and ways of raising children. What I want to address is something that doesn't relate with any tradition in particular but should be considered in any part of the world. In this post, I'm addressing kids born in a home where there is a father and mother figure. Either couples who are legally married or just living together and having kids. I've heard it so many times and I really thought I understood, but life is full of surprises, isn't so? Just a short description of myself. I never ever made truly planning. I have some idea about what I am about to do and some notes anywhere it happens to open my planning notebook. If anything, I am that guy who's pulling things out on the fly. The big picture is crystal clear, but as soon I zoom in, it gets blurred. Anyway, enough with this, let's get in the today's subject. I've been fairly lucky in that I haven't often experienced bitterness for very long, I have tried and failed so many things but I mostly feel a golden goose type calm towards money or creativity: if one egg or all of them got lost or stolen or used up, I can lay another. I can hustle and work and try new things. I have been homeless and also had times of plenty. I can't pretend like I have coasted through all of those times without feeling pride or despair, but in the back of my mind I could reasonably see that none of it was where I had landed permanently. She is not at the age of going to school, and even if she were, we are most likely deciding on homeschooling her. But first we still have to research all the information that I can find about how we have to apply for this here, as the whole thing is still new to us. But of course there is nothing wrong with trying things out to see if we think this will work in the future for her (and me as I am the one that will be homeschooling her). Our little girl is so eager to learn and constantly repeating the words she is learning, or already knows. Her pronunciation is improving rapidly. Is All Madness Equal? ~ Or Could Psychic Ability Be Responsible in Some Cases. 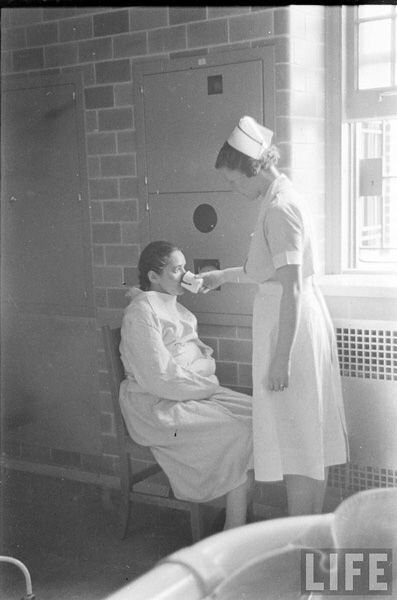 Vintage Life Magazine Image of Mental Patient Being Administered Drugs. 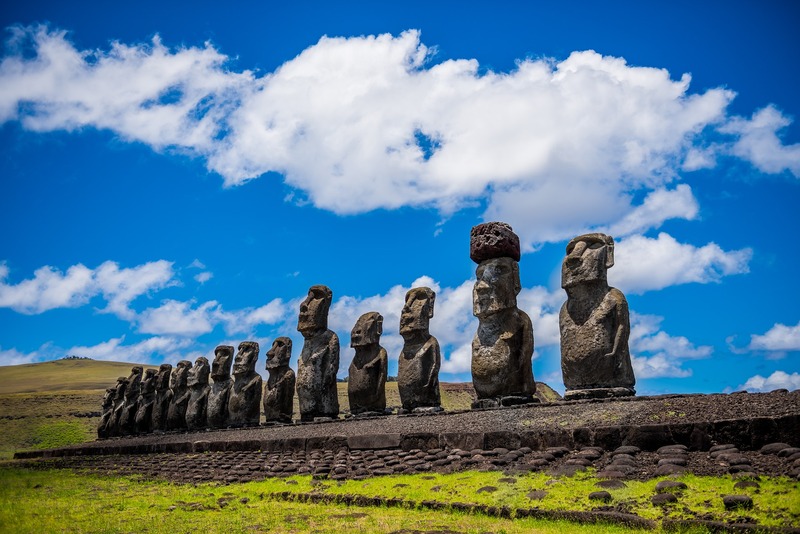 I recently treated myself to a subscription on Gaia TV where a person can dip their bread and devour self-development, spiritual and esoteric programmes not readily available elsewhere. I watched a documentary Crazywise that explored mental illnesscomparing western medical wisdom with that of indigenous peoples. Doctors in the developed world see mental anomalies as a manifestation of a broken brain and prescribe drugs which often exacerbate the issue or create further difficulties for the patient. In indigenous cultures a person who is different, who perhaps hears voices, is counselled within the community and encouraged to explore the possibility of a higher calling; they may be mentored by the wise (wo)man or village Shaman and through following their calling be, themselves, healed. Continuing with the visit to the coffee zone of Bergantín Venezuela, we wake up like every day very early, being already the 4th day of our visit at the Coffee Farm 4D. Only with looking from the window of the house the high mountains of approximately 1300msnm the lowest and the highest peaks of 2400msnm, while we taste a rich hot coffee, we can imagine the tourist and agricultural potential that still needs to be developed in the area. Although in this visit we only dedicate ourselves to enjoy the benefits of the mountain climate and to know the process of coffee closely, we already want to plan another visit in the area to know its other natural alternatives such as rivers, waterfalls and streams, pine forest and they even told us that in the summer season they are practicing adventure sports such as mountain biking, hiking and paragliding. I was sitting on the patio this morning when I noticed a little bird pecking at a pile of cut Juniper trees. The picture below is of the cut Juniper trees laying on the hill - but the bird had flown away. I grabbed my camera and was happy to capture the woodpecker's return. This time the downy landed on a standing juniper tree, next to the hammock. He tested both sides of the standing juniper tree and realized this tree was not rotten. Hello Steemains! this beautiful day we will learn to make an incredible hen, easy and practical to make, so I invite you to enjoy this fun proposal, where the little ones can go, little by little, developing ingenuity and approaching the artistic work accompanied by your classroom teachers and parents. Accommodates eggs in a super original and practical way. Have fun while you write or do your homework!. Homoeostasis: The ability to maintain internal stability, by adjusting cell-wall permeability and the concentration of internal substances. Signalling: Perceiving and correctly responding to the micro-environment (internal variables). 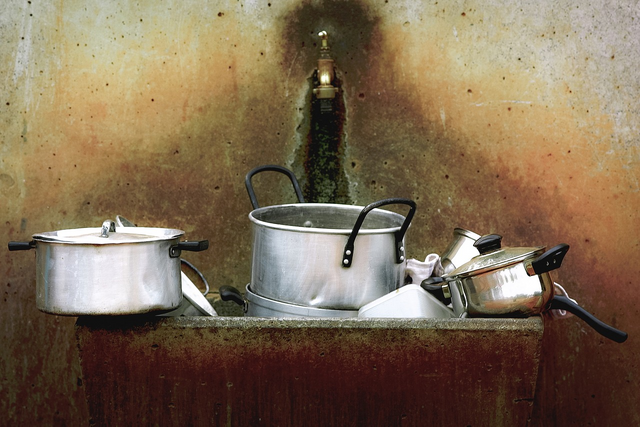 Metabolism: Transformation of substance, for example food-to-energy and the elimination of waste. Self-sustainability: The ability to self-maintain, by independent effort. Reproduction: The ability to successfully breed and propagate one's own kind, multi-generationally. To me it is re-embracing something we shut out, with love. To do this we need to know what was shut out in the first place. It can take a long time before we find out what it is that actually bothers us. What it is that we want to keep at a distance from our vulnerable heart. What it is that is keeping a hold on us BECAUSE we are pushing it away. We feel so threatened by it somehow that we don't even want to look at it, believing it will have more power over us then it already does when we acknowledge it. "Family that eats together, stays together"
Family meal times are always special. It create beautiful bonds and lovely memories. Even at least once a day, Family should try to eat together. However, for a really busy family, perhaps setting a time for weekend for a get together meal will be beneficial. 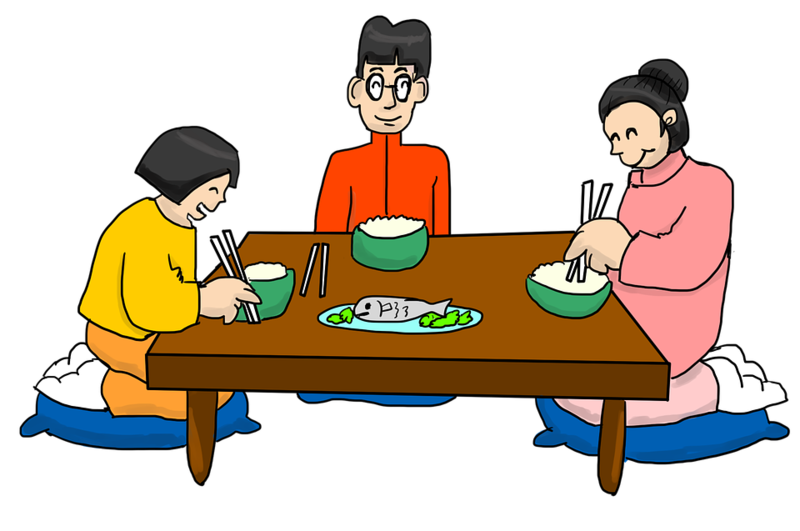 Studies shows, that eating together as a family reduces the risk of obesity in children, using food as an outlet for their problem. it can be serious and can result to low self esteem. That's right. 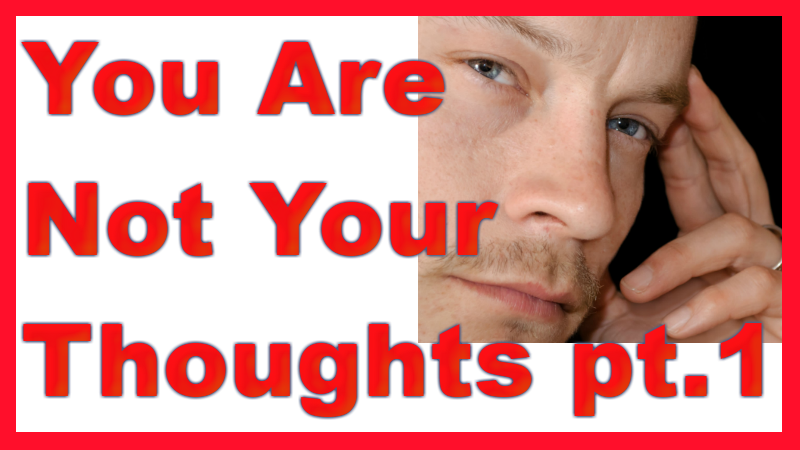 You are not your thoughts. Your thoughts and mental images are something that you can observe. If they are something that you can observe then they are separate from you. "No," you might say. "My thoughts tell me what my name is. The mental images of me show me how I look like. My thoughts tell me what my job is, what my gender is and the kind of person I am. My thoughts tell me who my family and friends are. They tell me what my strengths and weaknesses are and how I treat people and what they think of me." 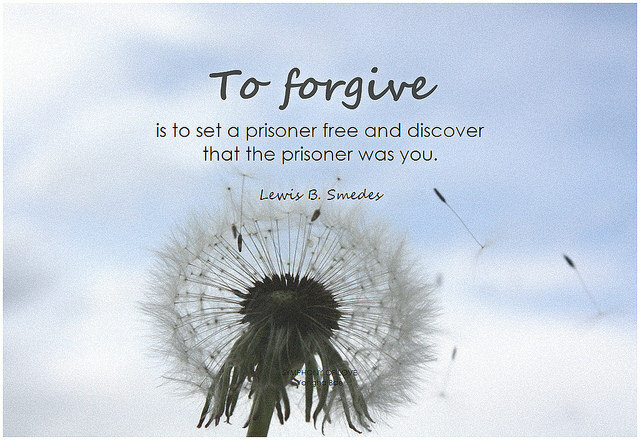 Often we forget that we are the ones who created our system of meaning in life. We are the ones who decided what measure will be used to judge us. Are we more worthy of happiness if we work hard? Do we deserve more self-worth if we are creative? Intelligent? Funny or entertaining? How in your mind do you judge yourself as having sufficiently earned your keep? I've been feeling a bit bummed out since @eco-alex shared his hay-fever fighting herbal brew of nettle, plantain, and dandelions. See, I am dandelion rich but nettle poor. 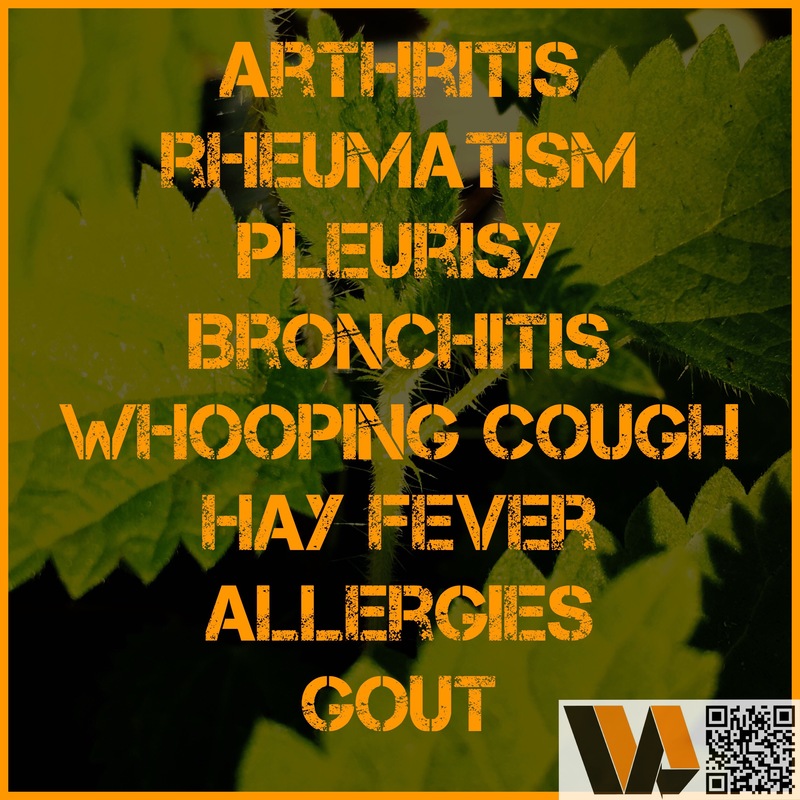 And I love stinging nettle tea. Seriously, it is delicious and so good for you. But the few patches I found of it have been mowed down already. Thanks so much for the mention and glad you liked the article. I’ve found so many great posts thru you that it’s an honor to be listed. Wow Alex! You are giving so much to this community! I am so amazed by the work and engagement you put into everything you do! You are an absolute role model to all of us! Happy weekend Alex! Thank you so much Sir for featuring my post. I am new to ecotrain, and im amaze how it inspires me. I am enjoying my stay. Thank you. Super! Hope u post next week starting monday! Yes sir, i will. Thank you again. Its such an interesting discord. Hey thanks for including me here! This is a great collection and I'm pleased to be among them. For the record, I found another nettle patch when I was out at the garden tonight. Such little things can make us happy. Great initiative! Awesome! 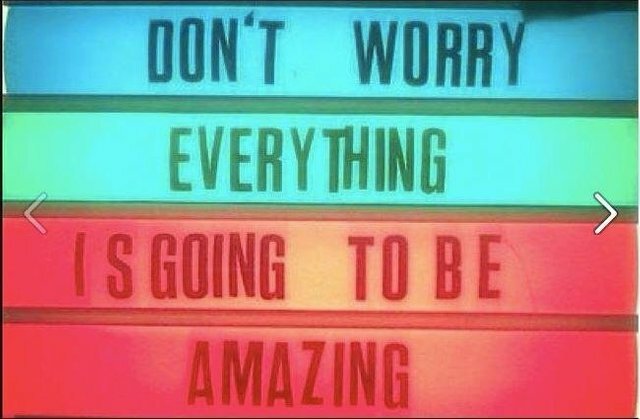 Enjoy and best of luck with it! This is such a great idea. It can be quite a struggle to get your stuff read when you first start out on steemit and initiatives like this can improve Steemit for all by helping people that really make great content get noticed by more people. This is the best opportunity for minnow steemian like me. Thanks for your minnow steemians, am going to tag @ecotrain in my next article, hopefully it would make a difference. your blog is perfect. thank you for sharing good post. Thank you so much for mentioning me in your first edition @eco-alex ! Really appreciated.. Going to check the other posts today when I can .. much love! These people have really added some value. I appreciate their efforts. Btw, the very first post in this list is of 8 days old. So people who see this cannot upvote that post! May your good desires come true! What an honour to be in the very first Pay it Forward Minnow Support post!!!! Thank you @EcoTrain, thank you @Eco-Alex and the community on and around the train! Lots of reading ahead of me and more writing for sure. Thank you @eco-alex for the mention. This is a great initiative, and it encourages to keep us creating original and valuable content. Thanks dave! Keep writing great content! I would appreciate you making an exception to the rules. Esp with the less than $1 one. Some of us are hovering just about or above there, but we could do better. If that's not sounding greedy or anything like that, certainly not intended that way. I just think this is a fantastic project and I'd love to take part in it sometime too. Yes, i agree.. and i have more than once on this post! That's a very good news. This may bring benefits for everyone. I will definitely try to follow your rules. This is amazing Man. I would love to help you with the Initiative if you might need me! Thank u brother!! U can just upvote some of next weeks minnows in my post to come.. there will be some gooduns! Great initiative, @eco-alex. This will make steemit a better place. Thanks for your paying it forward big heart. Definitely will help and encourage minnows with good blogging talent. Following and resteemed. Have a nice day. This is a great initiative. I will be getting on board with the positive posting once I end my current 'liminal' working my notice phase and get me to Wales on some land. However, I'm both encouraged and distressed by the lack of comments.... encouraged because now I'm not so depressed at the lack of engagement on my own posts, but distressed in that I would have expected more of a qualitative response to a post such as this! Still, I guess we're all very busy, too little time! Just remember all posts live on blockchain and google forever! Steemit is very busy too.. just keep engaging with the right people and in time u will get more responses.. im not surprised about this posts Engagement as this is my first post on the subject and over time it may pick up as people see what im doing! This is just the start! best!